Anyone remember Steel Diver on 3DS? It was an idea Nintendo originally pitched as a demo for the dual-screen capabilities of the original DS, but only really saw the light of day as a full release on its 3D successor. Ironically enough, it went under a lot of people's radars at the time, but Nintendo announced at E3 last year that the lesser-known franchise would continue on as their first free-to-play title. Steel Diver: Sub Wars was finally revealed during today's Nintendo Direct broadcast, and is available for download from the 3DS eShop right now. Described as a more ''contemplative'' take on the traditional first person shooter, players will take control of a submarine and its crew in a series of single-player missions, as well as in a competitive 4v4 online multiplayer mode. You'll have to time your movements carefully to make the most of the vessel's slow-moving torpedoes, encouraging tactical gameplay and some quick maneuvers. As such, the game hopes to appeal to a wider audience, especially those who wouldn't normally be interested in other first person titles. The free-to-play model previously announced will offer everyone the chance to play a more basic version of the full game at not cost, allowing curious captains to test the waters. The free version comes packaged with the first two single-player missions, two basic subs and full multiplayer capabilities. If you want a much wider selection of subs with varying stats to customise and collect — along with the rest of the single-player missions — then the premium edition can be purchased for a one-off cost. Check out the trailer below for a first look at this unique shooter, and be sure to let us know your thoughts on the game when you eventually download it. I played the first 5 minutes of it. Meh. Caption: that's what she said to him when her parents were in the house. Been playing since it was up, very fun so far the multiplayer battles are intense. I don't like the morse code chat though, its nice that its realistic but its hard to communicate without getting killed lol. Yep i think i'm going to get the premium pack after i try out the solo missions. I will get it too, it is free and I got the original. It looks like it is a bit more charming, with you being able to actually see the crew. Wasn't even a Peppy Hare lookalike in there? That new touch indeed reminds me of Star Fox. Downloading it now and will try it out right away, if it's good I will try to get the full version sometime. Seems interesting. I imagine the slowed down, 'contemplative' play style has something to do with running online multiplayer. But definitely going to give it a try. Going to give it a quick try and if I like I'll bite on the full version. Glad I picked up two up an eshop vatd. I think back on games like Waverace and 1080, games that were non-traditional genres, but that I loved. This seems to be one of those types of Nintendo games. Probably won't sell well, but will be looked back upon fondly by us in the future, as we reminisce about the "good ol' Ninty games" like Steel Diver and such. the multi-player was pretty fun, i got disconnected after one game though, havent tried the single player, i dont think i will be going further than what is free to play, and hey, who can complain about free? Wait, it's free to play and it's out now? I guess I really need to watch the Nintendo Direct again to see what else I miss due to lag. Got to try this out first though. Going to try it out. Seems like it might be fun, only in multi-player though. Morse code is to realistic and to slow when trying to communicate. It seems like a lot of the premium content can be unlocked by just playing the game . Steel Diver: The only game I ever returned to Gamestop (which gave me the funds to buy Bit. Trip COMPLETE). Well for $9.99 that's pretty awesome. I was tickled that Morse Code was added, though the only thing I can remember (already knew actually) is SOS. Didn't put the price in the article. It looks just as bad as i feared. Might download it but judging by comments i have read its probably not worth it. It's pretty good. There's a lot of strategy here and it's got a lot more to it than the original Steel Diver. This should have been the original game. Darn I can't download it because I don't have my 3DS tied to a NNID. Well played Nintendo, well played. Though I'd love to verse randoms online I ain't going to miss out on other games just for this one. game is awesome. online is super cool. if only you didnt have to do freaking morse-signs to communicate. TAKES FOREVER !!! Forget the demo I want to buy it. Closest thing to starfox and looks very fun. This game is... really good. @dmc79 Well, there isn't really a "demo". You just download the game, then buy the rest of it from within. this game is great. just got finished playing, and i'm hooked. @Blast Haha! xD Finally somebody understands it! @Gioku That last stage in that mini game is...harder than almost anything in the real game. Anyway, I loved the first one and always wanted more subs, and this looks like it delivers just that! Only thing is I wish you could see more of your sub while actually playing the game (aside from the pause screen). I'll probably get the full thing at some point. It's gonna take a bit of getting use to, but it's a fun little game. And I'm getting that itch from it to get better and finish with the better medals. kinda slowmo starfox ish...it's awesome. But that was already said above. Anyway worth the download. 4 vs 4 Online? Pretty damn great for the 3DS! I feared that it only had enough power for 3 vs 3 (Kid Icarus: Uprising). Only thing is that I can't decide if I want to invert Y-axis or not. @Gioku Well y'know I'm talking about the actual BIT.TRIP RUNNER game by Gaijin Games. @TruenoGT Yep, the online is really fun! I quite like this little title!!!!!!!!! I am out of cash at the moment and I have a ton to buy in the near future, but the full version is now on my radar!!!!!!!!! ...well anyway, now I can take a break and check this out! so is the physical copy of this game different from the $9.99 download version after u get the free game? 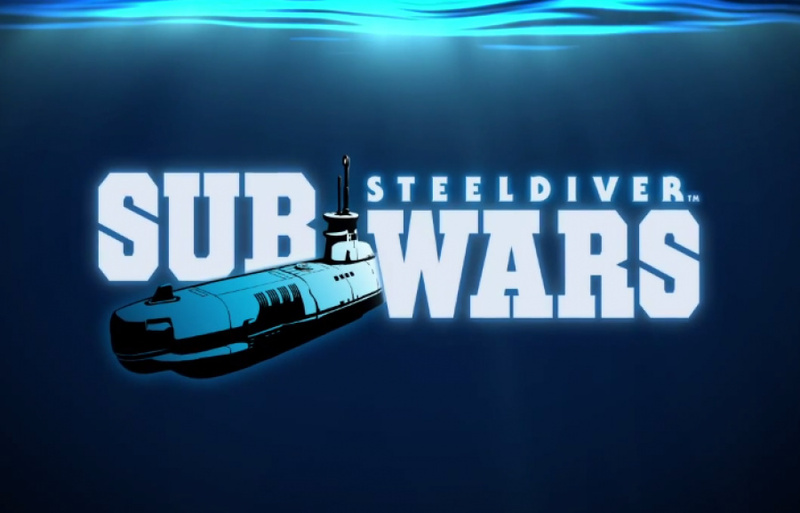 like, say u already have the original steel diver game, u download the free sub wars game, then is the sub wars upgrade the same or a different game? €9.99 in europe, really impressed enjoying it far more than i thought, multiplayer is great too..defo worth the price imho. I' loving the online mp although the subs are too slow for me, going to upgrade to the premium version ! Loving it so far. Seems much better than the original. Might go premium. loved the full game and anything more would be great. its a shame that it was a title that got totally passed over by most people. i got it cause it was cheap and old and i ended up loving it (much like Nano Assault for 3DS). it looks great and i found it to be very addictive. i even beat all the extreme missions. anyway, its great that its back in some form but honestly it would have been neat to have seen this with HD graphics on the Wii U. @SanderEvers I thought that the pacing might bug me, but no. It reminds me of playing Battlezone. @ouroborous I agree this would be awesome on Wii U aswell, I hope they release a Wii U version that can play multi with the 3DS. I hope enough people buy this to show Nintendo we want more. This game is super boring... Submarine Borefest! I loved Silent Service on NES so I can't wait to try this out! So the whole game is $9.99? Sounds pretty good actually. I paid $20 for the first one. My son is a big fan of Sub Wars on the 3DS, so this is a must have for us. We will play through the demo...er I mean free to play version this weekend, but the full version purchase is pretty much guaranteed. I'll download and try it when I get the chance but I doubt I'll get the full version, looks too slow paced for me. Alas, a Nintendo network ID is required for this...maybe they'll make a retail download code for a premium version or something (such as Nintendo allowing multiple IDs and thus access to multiple countries, on the same system). @3dcaleb The retail version has levels as side-scrollers with first person minigames (and a terrible turn based strategy game) while this entirely first person. Looks a lot better. Going to give this a crack though in the light of atrocities like Dungeon Keeper the appearance of 'freemium' software on Nintendo makes me very wary. Well, this is much better than I expected. The morse code chat is really clever and adds a layer of challenge to the game which requires a fair bit of strategy already. Everyone fails to mention the presentation during the fights as well. With the lower screen showing the "driving panel" of the sub and nothing but the shouts of "fire!" every now and then, it's really easy to get immersed during the battle. Definitely worth the free download, and if the multiplayer is still populated in a month or so, I'll go premium. I downloaded it as well. If it's any good, I'll upgrade for the asking price. ok thanks i was wondering if i should get the original or pay for the upgrade cause i can get a physical copy of steel diver for like $5, but it sounds like its nowhere near as good. I played the online multiplayer a lot, and love the Morse code chat. It's very unique, and you can actually TALK to other players, for once. The original was the best example of "I loved it" (originality), then "I hated it" (too short, and slow) no other game gave me that bi-polar a response before. But the online multiplayer is on the free version IN ITS ENTIRETY. Yes, you can't use more, and better, subs, but all levels are there. For that reason alone, I'm content with it for free. How is this exactly different from a regular demo? It is possible to buy just parts (levels, ships) of the game or something? its awsome when it doesnt lag. im not getting the full because i can beat the others without better ships. I.. I want an upgraded version of this on Wii U!